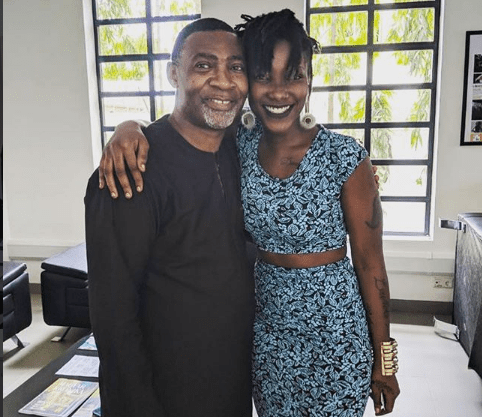 Rev Canon Dr Lawrence Tetteh has said he spent huge sums of money during the funeral rites of late dancehall artiste Ebony Reigns. Addressing mourners at the funeral service on Saturday, March 24 at the forecourt of the State House, he said he bought the casket and also paid the “Kupe” hitmaker’s morgue bills. Preaching at the ceremony about the need for unity among Ghanaians of all walks of life, Dr Tetteh said he dipped his hands deep into his pocket because of the love he had for the 21-year-old award-winning musician. He said: “I have spent a lot of money, I’m hearing a lot of monies people say they have spent as sponsors, and I have spent more than them and they are people who are being acknowledged. I bought the casket there, I paid for it, I paid for keeping of the body at the mortuary, I paid for the hearse. Dr Tetteh admonished Ghanaians to be united and stop the hatred because it is retarding the nation’s development. “Today lawyers are destroying lawyers, pastors are destroying pastors, politicians are destroying politicians, as a matter of fact everybody is destroying somebody and it is not good. So, stop it, it’s not right, it’s not fair, it’s not acceptable. As we sit here today, brothers are not talking to brothers, friends are not talking to friends, even some of the musicians they become so competitive that they are destroying themselves,” he stated.